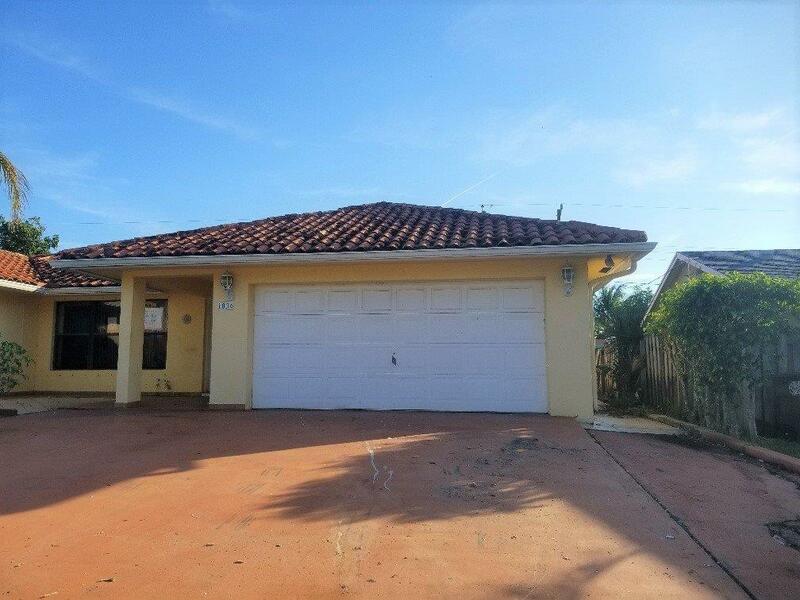 This is a 3-bedroom, 2-bathroom, 2 car garage single family detached home located in West Palm Beach, Florida. Just across the street and in walking distance of Dreher Park and Zoo. Great location, close to schools, shopping and fine dining. Open concept floor plan, living room, formal dining room and family room, tile through-out the home, plenty of windows that allow all the natural light in. Kitchen is open to Family room and has ample cabinet and countertop space and pantry that an island overlooking the family room, great for entertaining guest and family.